Snow has fallen. The days are short, the nights long. When we do venture outside, we shuffle around in our big down coats, trying to remember hats and gloves and mittens. We have abandoned sneakers and sandals for boots and thick wool socks. Winter has arrived, and truthfully, it's not my favorite season of the year here in Minnesota, primarily because of the lack of time outside in the sun, and the cold, dark afternoons. However, I do have five favorite things to share with you this winter that help me enjoy this time of year a little more. 1. 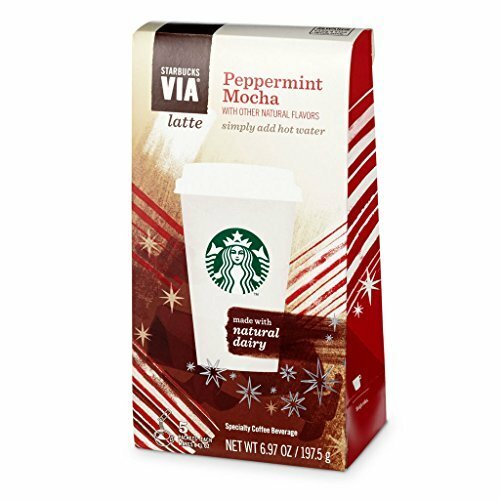 Starbuck's Instant Peppermint Mocha packets. Recently, I ordered a small specialty drink at the coffee shop and it was almost FIVE DOLLARS! That's insane, right?! But I can't go without my afternoon cup of caffeine. These packets aren't cheap, but they're still way less expensive than one at the store. Perfect for a treat on a cold winter afternoon. 2. 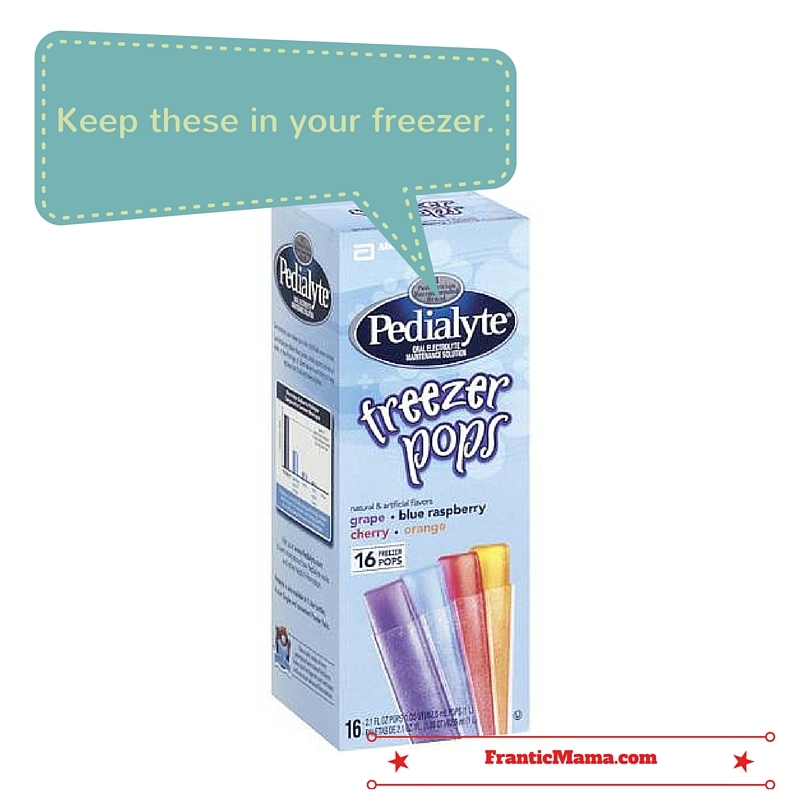 Pedialyte pops. I mentioned these in my sick post. They are worth mentioning again. Run-- don't walk-- buy a box, and put half in the freezer. Then you'll be ready the next time your child comes down with a stomach bug. 3. Rodan and Fields Microdermabrasion paste. A couple of my friends recently started selling this skincare brand. I tried the microdermabrasion paste and am now hooked. I have never had a scrub that makes my skin feel this smooth! 4. 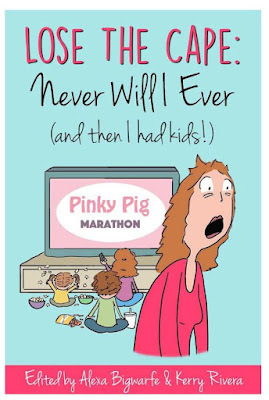 Never Will I Ever (and then I had kids!) is the most recent anthology that yours truly contributed to. I've read it a couple of times, and I think it's a great book for anyone who has children. I only wish I could've had a copy to ease any motherhood guilt I felt my first couple of years as a parent. Purchasing a copy will support all of the authors who worked so hard on this project. 5. Not Your Father's Root Beer. I ordered this spiked root beer at a restaurant recently, worried it would be too sweet. It's not. It's just...awesome. Cheers! What are some of your favorites this time of year? Share any fun things or ideas that help you enjoy the coldest months of the year! Favorite things are such a comfort!I'd love a cup of peppermint mocha!! The book is a keeper too! 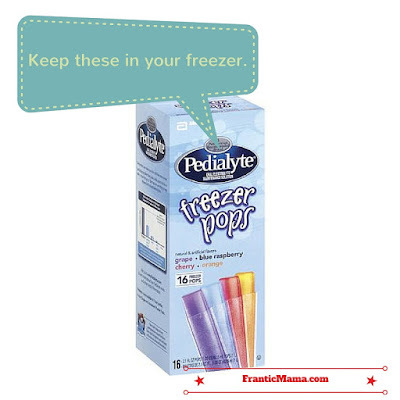 I wish we got pedialyte pops here, things would get much easier. :)My faves this week- my new box of paints. It is a tin box and I can't get over it. Our new indoor air purifier - it took a lot of money but is letting me breathe better.Himalayan pink salt- it is heavenly on chocolate and I can't stop sprinkling it on everything and anything.My husband and my babies- they are stubborn and won't get off my favorite lists. And 'Frantic mama'- she makes it too- week after week after week!! It made me smile- thinking of the good things in my life - Thank you!!! Oooooh a new box of paints! So fun. That was my daughter's favorite Christmas present this year-- a brand new set of Crayola watercolors :). Pink salt sounds DIVINE!! A little luxury makes the days better. 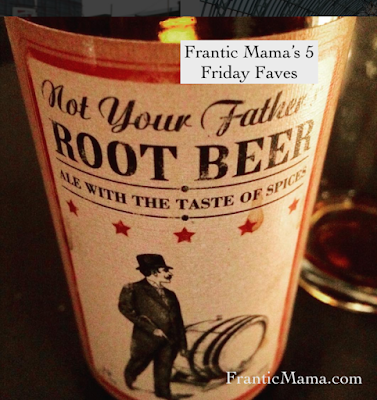 And you are too kind to include Frantic Mama as a fave-- it made my day to read that! I just got a packet of the R & F microderm facial thingie from a friend.. I liked. I still have half a packet left. Somewhere... Uh oh! I've recently discovered Starbucks via packets and I love them for when I just don't have the energy (or time) to deal with my French Press. Also, since our baby has a dairy allergy, and I only recently stopped breastfeeding, I got really into coconut milk creamer. I would mix a can of the full fat coconut milk with a T vanilla, a couple T's maple syrup or agave and a few shakes of sea salt and I like it way better than half and half. Stay warm!!! Ohmygosh-- coconut cream?! That sounds delicious. I might have to try that! Oh my! That rootbeer IS the best (there's a can in the fridge calling my name and the time hasn't been right to crack it open), and that peppermint mocha sounds like so much fun!